This kit will raise your existing Wise or Moeller seat approximately 11" inches. As shown in the first picture, the Wise and Moeller seats use aluminum flat bar for the backrest supports. Standard or Deluxe Footrests can be added to the basic kit and are available for purchase in this store. 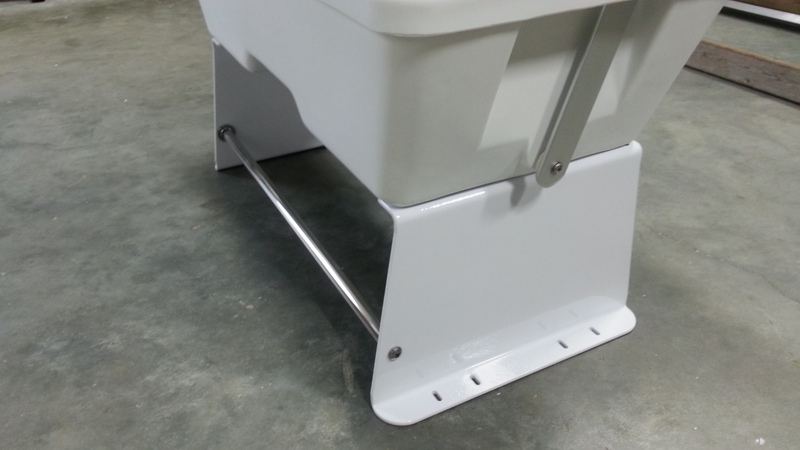 The basic kit includes two powder coated brackets, the 316 grade stainless crossbar, and all necessary installation hardware.